Much of Emilia-Romagna, of which Bologna is the largest city, was ruled by the Vatican’s Papal states from the early 16th century until the unification of Italy in around 1860. This beautiful city largely thrived through the medieval to the early Baroque periods. Despite economic decline during the later 17th and 18th centuries, it boasted a large population and by 1790 this had reached 72,000, making it second only to Rome among the Papal states of the period. It enjoyed a lively music scene and therefore the presence of several fine violin makers. The pinnacle of its classical violin making was achieved in the work of Giovanni and Carlo Annibale Tononi (active in Bologna c. 1690–1717). As was common among the best 17th-century Italian luthiers, the Tononis drew their knowledge and inspiration from Cremona, throughout their lives improvising on the models of the Amatis. Giovanni Tononi died in 1713 and a few years later Carlo Annibale left Bologna for Venice. Though his contribution was greatly missed, the city’s violin making tradition was continued in the capable hands of the Tononis’ stylistic descendants, the Guidanti family, as well as Don Nicola Marchioni (‘Don Nicolo Amati’) and later G.A. Marchi. Throughout the 18th century Stainer’s influence began to pervade the Bolognese style, in line with the period’s violin making outside of Cremona. 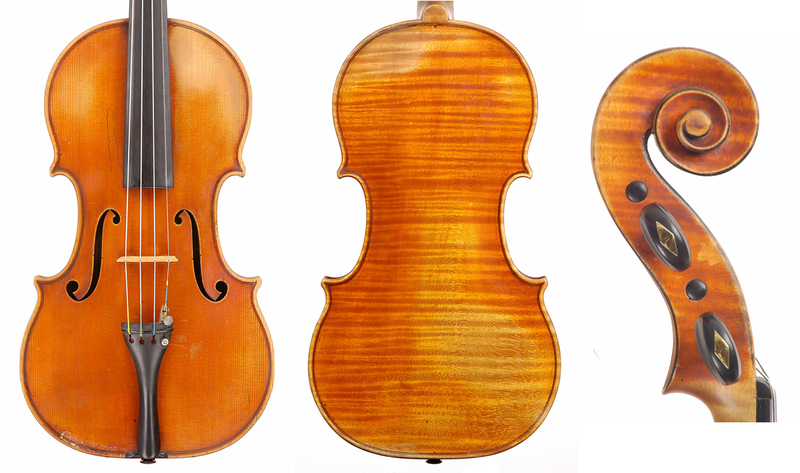 The flourish of the early Bolognese violin making school and its traditions ceased by around 1820, when its final exponent, Giovanni Varotti stopped his activity. 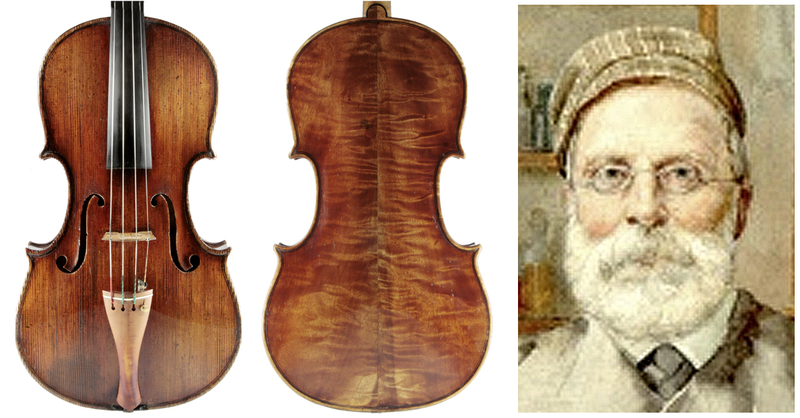 The region’s violin making lay dormant until the 1860s, with the appearance on the scene of Raffaele Fiorini, one of the founding fathers of post-Risorgimento Italian violin making. It was his son, Giuseppe, however, who became the leading figure in its development and flourish. The work of both Fiorinis is indicative of the transformation of Italy’s rather haphazard earlier 19th-century violin making styles into the more modern approaches of its later exponents. Raffaele was born in 1828 in Musiano (Pianoro), some 15 km to the south of Bologna, into a well-known family of millers originating from the hills closest to Bologna, who had soon moved north to Bazzano – a small town about 25 km away in the general direction of Modena (where Giuseppe was born in 1861). During the years of Italy’s unification the territory was still deeply rural in nature and culture, and yet its people confronted the modern era with sincere enthusiasm and a spirit of research and innovation, and the world of music was no exception, even in the towns surrounding the large Italian cities. Raffaele seems to have had a natural interest in violin making. Even before embracing it as a career, by around 1858 he had already constructed some violins in a small space near the local flour mill. He came into close contact with the traveling musicians of this era, in particular Ignazio Tadolini, a musician at the Estense Court of Modena. In the course of his travels, Tadolini had learned some violin making techniques in Paris, which he passed on to Raffaele. Carlo Verardi, a local child prodigy and later an important violinist, was strongly supportive in Raffaele’s debut, convincing him to abandon the millstones of Bazzano and to open a violin making shop in the center of Bologna, which the maker did in 1867–68. The shop was located in the prestigious Palazzo Pepoli, which today houses Bologna’s museum of history. In this stimulating climate the young Giuseppe Fiorini passed his formative years, seeing his father making instruments and trying his hand in the metier early on – by the age of nine he was apparently already carving the workshop’s scrolls. Later, we often find both makers in the catalogs of the large Universal Exhibitions held at that time throughout Europe, including in many Italian cities: Milan in 1881, Arezzo in 1882 and Turin in 1884. Giuseppe’s life is relatively well documented. It was not that of a typical down-to-earth Italian violin maker. Instead, it was marked by many moves across Europe. His first violins, recalling those of his father, appeared around 1877 and he continued working in Raffaele’s shop up to about 1884, when Raffaele took in the very young Cesare Candi as an apprentice. In the last decades of the 19th century, Bologna once again thrived economically and socially, creating a fertile ground for the development of culture and music. In June 1885 Giuseppe opened his independent premises in Piazza Santo Stefano, a few steps from his father’s shop (in 1887 he moved to Corte dei Galuzzi, in the historic center for luthiers, close to the old Sancte Mamantis, today via D’Azeglio). His decision to separate from his father may well have been due to their apparently difficult personal relationship, probably largely thanks to Giuseppe’s innate spirit of independence. Since 1881 Giuseppe had been greatly influenced by his fateful encounter with the tools and forms of Antonio Stradivari, which had been publicly exhibited for the first time that year in Milan by the heirs of Count Cozio di Salabue, the Dalla Valle family. In Cozio’s collection Fiorini found the cultural stimulus suited to his quick and questioning mind, which sought different ways of making to those of his father. Thereafter his need for autonomy was surely driven by a more dynamically modern philosophy than that of his father, including that of his approach to running a business. During the mid-1880s Giuseppe studied and experimented while also engaging in violin commerce, the latter leading to increasing business connections abroad, in particular in Germany. The turning point for the 27-year-old maker occurred in 1888: in that year he organized an exhibition of antique instruments as part of the celebrations to mark Bologna University’s 800th birthday (coinciding with the Universal Exhibition) and wrote a series of culturally significant articles for the official journal of the event. This gave him great visibility and he was also awarded the Grand Gold Medal in his class at the exhibition. At the same time one of his business colleagues, Andreas Rieger of Mittenwald, opened a shop in Munich and Giuseppe, having married one of Rieger’s daughters, Walburga, soon afterwards formed a partnership with him in 1889: Rieger & Fiorini. This quickly led to his move to the opulent capital of Bavaria, where he was to spend 25 years of his life. In this he was unusual among Italian violin makers, who rarely left their city or region. The activity of the Munich shop was quite varied and the last decade of the 19th century saw Fiorini involved in trade and restoration, the research and production of strings and the making of some new instruments. The company turned into an excellent business and in 1896 Rieger decided to retire, leaving Fiorini to oversee it. By then Fiorini’s workshop had gained much recognition in various circles, including Germany’s high society and even royalty. Meanwhile in his father’s workshop in Bologna, after the departure of the Candi brothers to Genoa in 1888, Raffaele eventually ended up taking on his most faithful, long-term apprentice Armando Monterumici and later Augusto Pollastri. When Raffaele died in October 1898, Giuseppe, as a sign of respect for his father’s school, left the shop’s tools to Monterumici. It was, however, Pollastri who took over as Bologna’s foremost and influential violin maker of the early 20th century. Giuseppe, meanwhile, had become well established in Germany, though he continued to refer to Bologna on his labels, demonstrating that he remained proud of his origins, despite his strong classic Cremonese interests and his newly acquired German citizenship. The first decade of the 20th century was a period of great success for Fiorini, his fame spreading throughout Europe as a maker, restorer and connoisseur. By 1904 he had become one of the founding members of the VDG (Verband Deutscher Geigenbauer). The best instrumentalists of the period had come into contact with him and his reputation grew with the increasing quality of his instruments. The firm moved to another part of Munich and after 1912 he began to concentrate more on the work that most interested him: research and new making. The success of the workshop in Munich, where Fiorini collaborated with several other makers, gave rise to the idea of creating a great school of his own, which accompanied him until his death. Many students, aware of his research, visited him at that time, among them Albert Edgar Phillips-Hill, nephew of William Ebsworth Hill and father of Desmond. During the years 1904–05, Kaspar Brandtner, Hermann Kilian, Giuseppe Castagnino and Pietro Messori worked with him in Munich, and other future notable makers arrived some years later to learn from him. 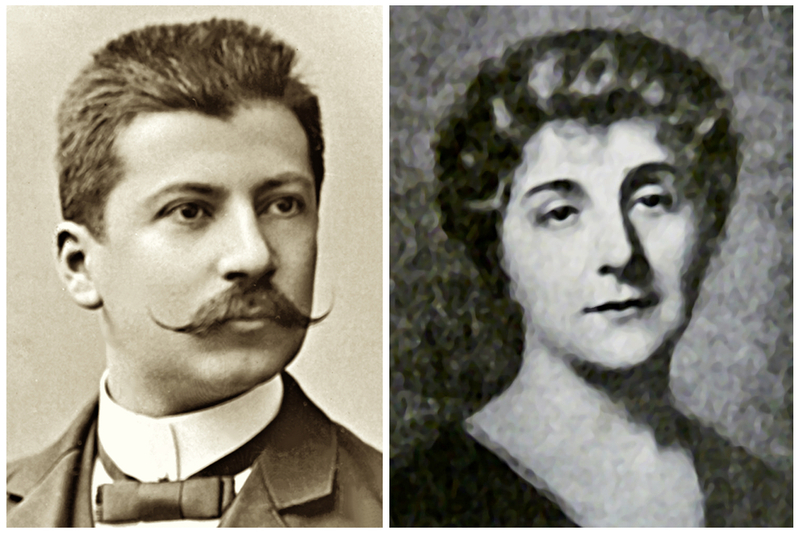 The First World War created problems for Fiorini as an Italian working in Germany, and in 1916 he took refuge with his wife in Zurich, where he had long-standing friends and patrons. He remained in Switzerland for eight years, working on his own; this was perhaps his most continually productive working period. At this point a crucial event occurred: after almost 35 years of acquaintance with the family of the Marquis Giuseppe Rolando Dalla Valle, Fiorini learnt that finally Paola Dalle Valle, his last heir, had decided to sell their collection of Stradivari relics. After lengthy negotiations and despite strong competition from other buyers, Fiorini managed to win it in full in February 1920, for a discounted, yet considerable price of 100,000 Lire (over €1m today). It was surely Fiorini’s conviction that these materials should remain in Italy, as a bequest to the violin making school that he intended to establish, which convinced the Marquise. One of the first to benefit from Fiorini’s studies and the Stradivari relics was the talented Ansaldo Poggi, who joined him in Zurich in 1922. The following year Giuseppe chose to relocate to Rome and it seems that Poggi followed him for a while. Other colleagues flocked to his side to view the Stradivari relics, including Simone Fernando Sacconi, who became deeply influenced by Fiorini and his knowledge of Stradivari’s method. Unfortunately, in the early 1920s Giuseppe’s sight began to show signs of a weakness that later led to almost complete blindness. Despite the help of Sacconi and almost certainly Poggi in his final instruments made between 1924 and 1925, Fiorini could no longer continue his production. Fiorini then directed his efforts to his project of establishing a violin making school in an Italian city. After failure in Bologna, Florence, Rome and Turin, finally in 1929 Cremona became a possible natural site. During his negotiations with the city, Fiorini remained adamant that his offer of ‘perpetual deposit’ of 1,303 Stradivari relics, including all of Count Cozio’s letters and notes, would remain bound to the school. However, in the end he had to accept the fact that the time was not yet ripe for the ‘New’ Cremonese school of violin making, and he unconditionally bequeathed his collection to Cremona’s Museo Civico in October 1930. In 1932, having moved back to Munich, Fiorini gave the city of Cremona a couple of instruments that he had built in Rome using the original forms of Stradivari, demonstrating the practical validity of the philosophy of construction that he had deduced from the donated material. His health continued to deteriorate and in 1934 he died in the German city. Three years later, in honor of the bicentenary of Stradivari’s death, the Cremona School of Violin Making finally opened its doors. 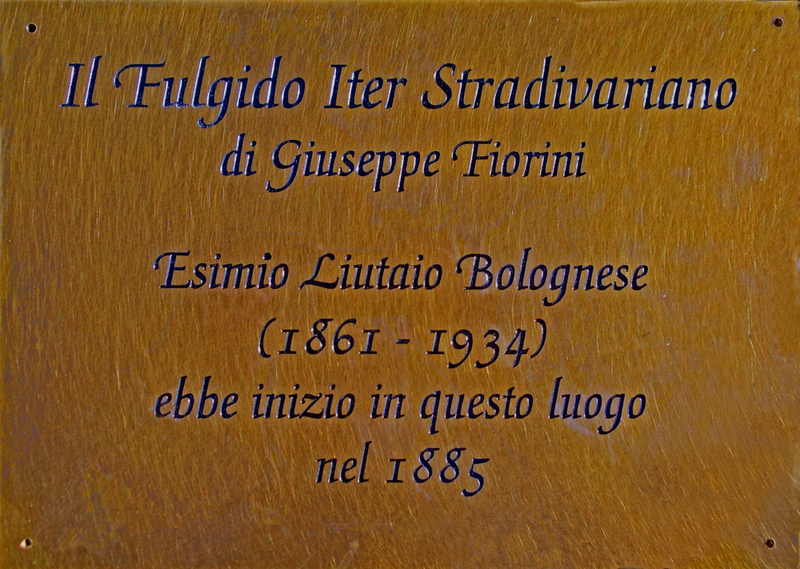 A street and a music school were dedicated to Fiorini in his native city of Bazzano and more recently a plaque in his memory was affixed in Bologna’s Piazza Santo Stefano, near the place that saw the beginnings of his independence from his father. Dmitry Gindin is an expert, consultant and author of ‘The Late Cremonese Violin Makers’. Roberto Regazzi is a violin maker in Bologna and co-author of ‘Lutherie in Bologna: Roots & Success’. In part 2, Gindin and Regazzi contrast the different approaches of the Fiorini father and son.